Recently the museum purchased a unique item. 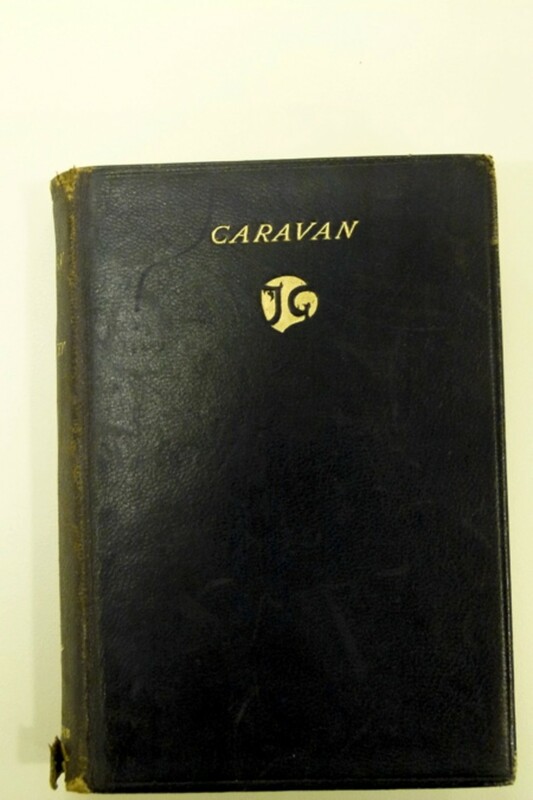 In 1936 former Prime Minister and still-serving Member of the House of Representatives William (Billy) Morris Hughes bought a copy of the book Caravan, by John Galsworthy, as a gift for his daughter Helen. Billy and Helen were devoted to each other—she was the only child from his second marriage, to Mary, and although he had several children from his first marriage he was estranged from them. Hughes was 52 when Helen was born and he adored her, taking her on some of his long overseas visits and writing frequently when they were apart. She in turn would write to him, addressing him at times as ‘My Dear Little Daddy’. The significance of the Galsworthy book lies in the circumstances of its purchase by Hughes. In December 1936 he received a letter from an unnamed soldier enclosing a ten shilling note with which he requested Hughes buy his daughter a present. The soldier had been at a low point of his life but had heard Hughes speak and was so inspired by him that he was able pick himself up and go on. Hughes inscribed the book with the circumstance in which he received the letter, and as well transcribed the contents of the letter (see illustrations). This book was bought by me and given to my daughter Helen Hughes at the request of a correspondent who signed himself ‘An Imperial Digger’ and enclosed a ten shilling note ‘to buy a present for your daughter.’ The letter which I transcribe here is a moving story of life in the raw. It tells a tale of ill fortune persisting to the very verge of tragedy; of fruitless search for employment, of struggles bitter and long drawn out. Of courage and self respect lost, of hope abandoned, of black despair, of self destruction contemplated. And then when the bottomest pit had been plumbed and death stood by his side, came dramatic deliverance and out of the darkness came light and a message of hope, giving him back his courage and his self respect so that he straightaway girded on his sword and went out joyfully to fight again and this time to conquer. Just before last Xmas you went out to Hammond Hotel one night and told the fellows the story of your life to their great delight. I was an inmate at the time or should I say ‘a guest’ as the dear old Canon always insisted on calling us. At the time I was right down in the very depths of despair; I was even contemplating suicide. I couldn’t see a ray of hope anywhere; then you came and told us of your early struggles and I looked at you and thought to myself, all of us are younger than you, nearly all of us are much stronger physically than you and if you could rise to such great heights as you have done from perhaps much harder times than any of us have had to go through, well there was hope for me surely. Well immediately after New Year’s Day I decided to hit the trail, fluked a job, held it down and am now in Sydney for the Xmas holidays with a little savings Bank A/C and although I won’t have to stay at Hammond’s Hotel this time I never wish to stay at a better place. A Merry Xmas to you and Dame Mary and all your family. If another war breaks out I hope you are somewhere about the premises. 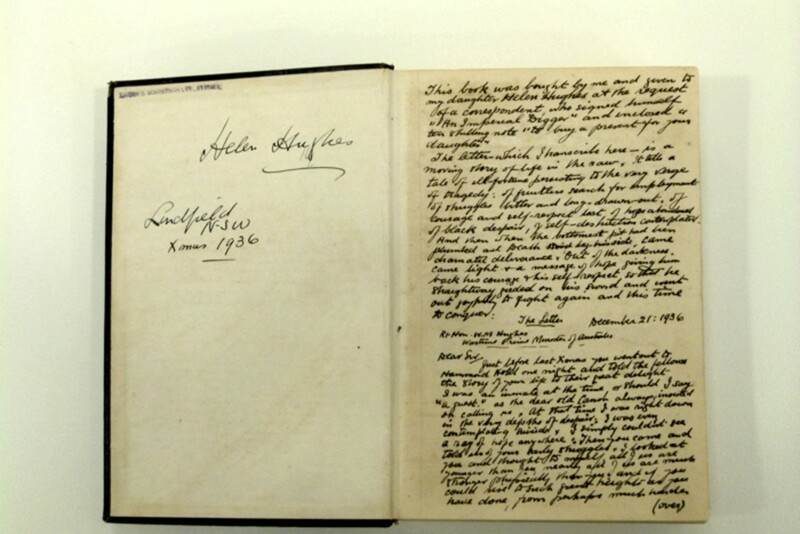 The book, its inscription and its relationship to Hughes’s beloved daughter shows a side of Hughes that was not often seen. He had a reputation for being aggressive and abrasive and was known to fly into great rages, abusing everyone from his secretaries to his wife. In the book’s inscription, though, Hughes reveals his admiration for the Australian soldier whom he always staunchly supported. Indeed his own nickname at the end of the First World War was ‘The Little Digger’. 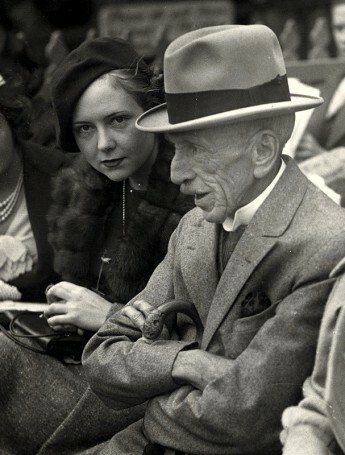 The tender father figure represented in this story also shows a hidden side of Billy Hughes. It is all the more poignant, too, because the year after he gave the book to Helen she died in London, alone, as the result of a caesarean operation for a child conceived out of wedlock. It is uncertain whether or not Billy and Mary Hughes knew about the pregnancy, although it is considered unlikely. At the time the circumstances of Helen’s death were kept secret and newspapers reporting her death only vaguely mention an appendix operation. It was only years later that researchers found she had given birth to a son, who is still alive and living anonymously. Although the museum owns other items belonging to Billy Hughes, it is pleased to have been able to purchase this book, which will enable us to show a different side of a man who was often divisive and whose support for First World War conscription tore the Labor Party apart. 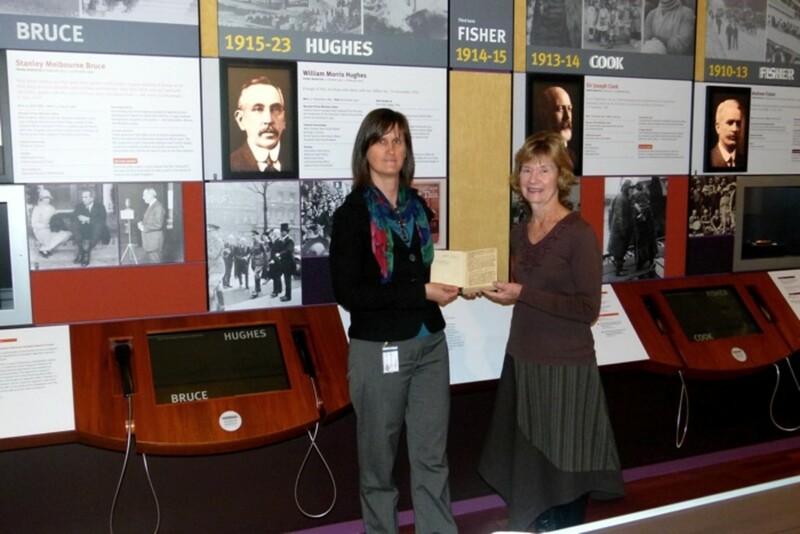 The museum acknowledges the role of the Nambour and District Historical Museum Association in this purchase.